If saving on fuel costs and driving boiler efficiency is a priority to you, Goodway boiler tube cleaners are a great solution. A cornerstone of Goodway, the Soot-A-Matic firetube boiler cleaner was first introduced over 30 years ago. Now in its third generation as the SAM-3, it is the world's most popular firetube boiler cleaning system. The unit is compact, portable and easy to use. One operator can thoroughly clean a boiler in a fraction of the time required by other cleaning methods - all by flipping a switch. Interchangeable bayonet nozzles and cleaning tools are available to fit tubes 1-3/8"-4" (35-102mm) O.D. The SAM-3 uses a cleaning tool mounted to the tip of a 26' (7.9m) spring steel tape. A trigger switch controls the tape feed. The operator inserts the nozzle into the boiler tube and pushes the trigger forward. The cleaning tool travels the full distance of the tube at more than 3' (0.9m) per second, loosening soot and scale. The operator pulls the trigger back for cleaning tool return and moves to the next tube. 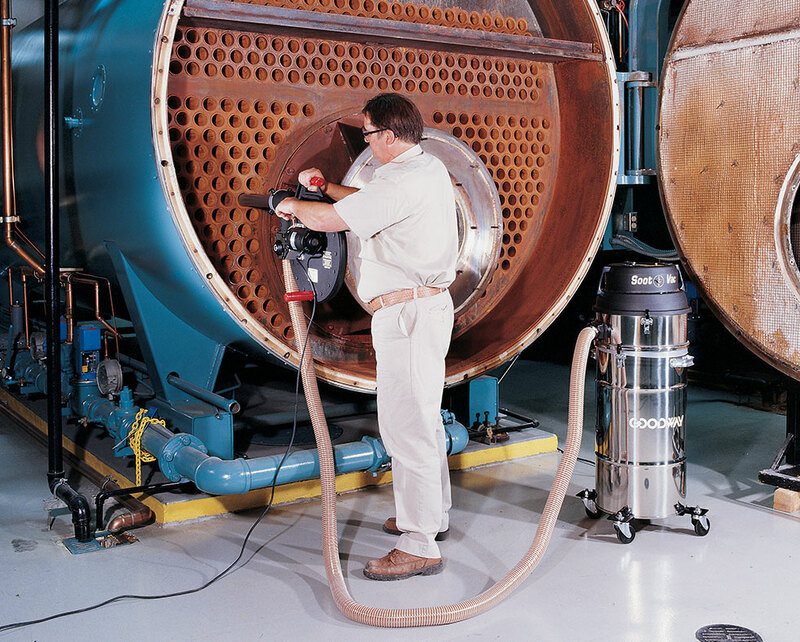 When you connect a GTC-540 Soot-Vac vacuum (sold separately) to the tube through the SAM-3, it also simultaneously removes loosened deposits. Take your boiler cleaning on the road! The Tube Cleaner Carrying Case is specifically designed for SAM-3 Boiler Tube Punching Machine and accessories. 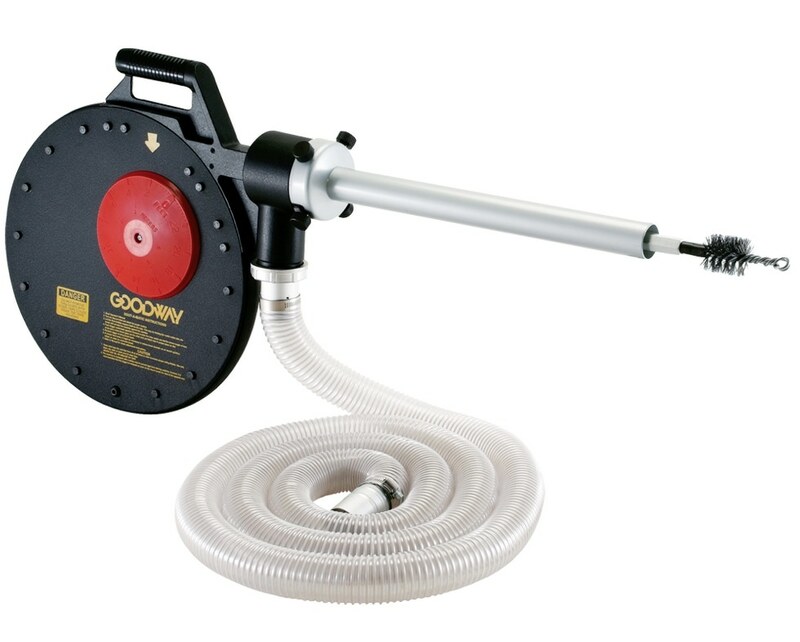 This is a genuine Goodway replacement Tube Cleaning Hose for use with the GTC-540 Vacuum and other boilers cleaners.